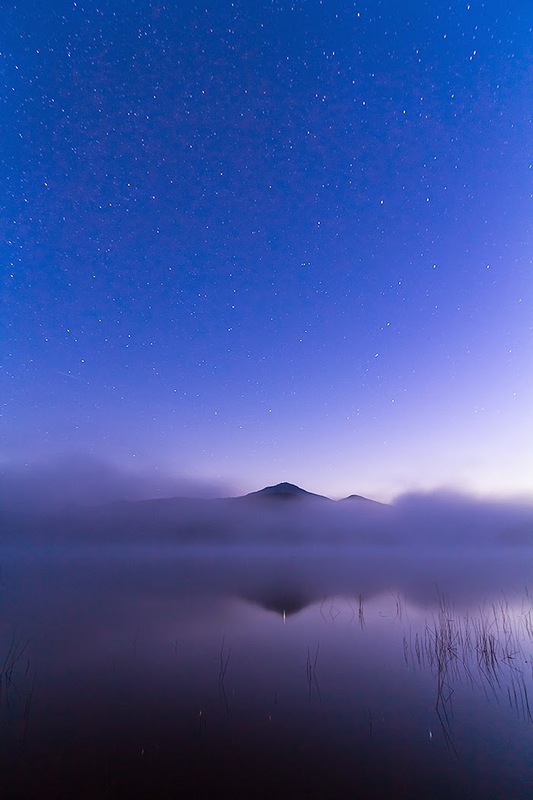 Connery Pond and Whiteface just before the beginning of civil twilight. Just a quick post today. Rough day and out of the house for most of it, but luckily I did some processing last night, so I had images ready to go for today and can continue my posting streak. 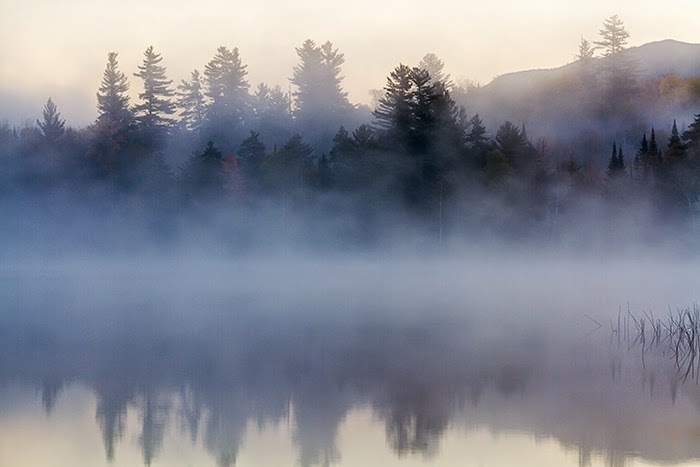 Please enjoy these fog images and I'd love to hear your comments and feedback. I probably have enough fog images for at least one more post. I hope you're not getting tired of them. Good night and thanks for stopping by! A little more foliage revealed in this image than the one I posted in Part I from a different day. 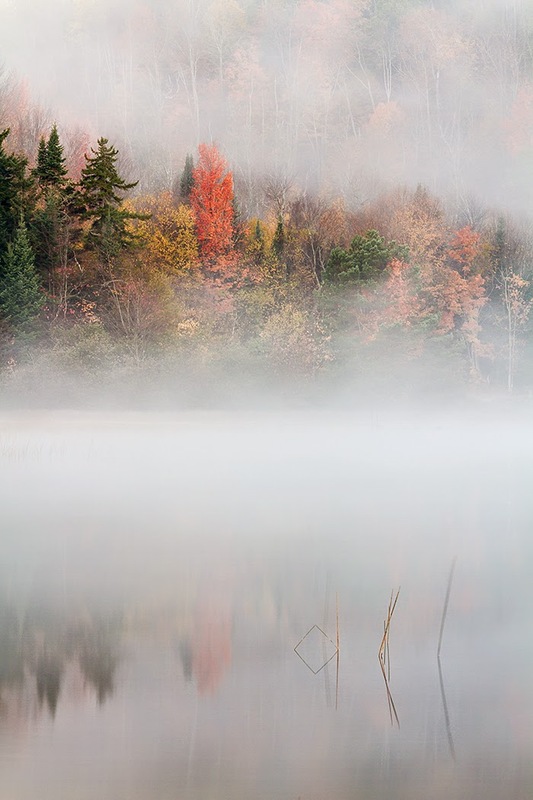 Heavy fog obscures the sunrise on Connery Pond near Lake Placid, NY.